“Aviruddha ashniyat” – This is our next dietary rule. The term” Viruddha”, literally means opposite or incompatible. Certain food combinations, its preparation or consuming process are termed as viruddha in Ayurveda. These incompatible combinations when relished frequently, has antagonist effects on the body constituents like dosha, dhatu,etc . 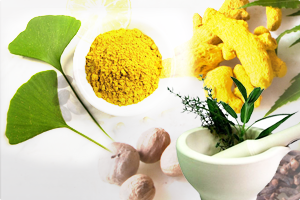 This results in imbalance of dosha and causes various ailments. Ayurveda strongly recommends to avoid such viruddha Ahar. We often happen to relish these foods knowingly or unknowingly. Depending upon the dosha status and immunity of an individual and also quantity and frequency of consuming viruddha ahar, these food combinations reflects its ill effects on the body. Swabhav Viruddha – opposite due to self abilities. ** Please note – Here opposite indicates antagonist effect on bodily dosha and dhatus. 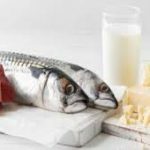 Fishes should never be consumed with milk – The obvious answer will be “We never do that.” Then what about Ice cream party after fish, or having yoghurt or curd/raita with or after fish? 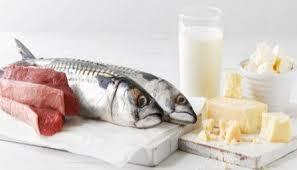 – Fish and milk both being sweet in taste and abhishyandi (increases secretions in the body channels), this not only vitiates Kapha but also causes obstruction/congestion in the srotas (channels). At the same time fish is hot in potency and milk being cold, when consumed together vitiates blood. This explains antagonist properties of Fish and milk. Milk should also not be consumed with leafy vegetables. 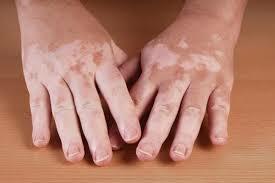 One should also avoid consumption of meat and fishes along with honey, sesame seeds, jaggery, milk, and sprouts. eg . Honey drizzled chicken/fish, sesame, or sprouts salads etc. 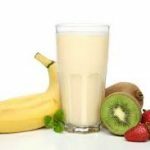 Many of us relish a heavy breakfast of milk and sprouts, this over burdens the digestive process and causes digestive disorders and formation of aam. 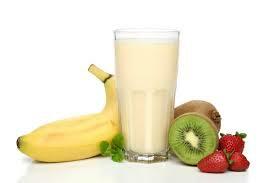 Milk should not be taken with salt or sour foods like fruits, as in milkshakes, fruit icecreams or fruit salads. Flavored oats/cornflakes with milk is yet another favourite – remember all packaged foods have preservatives in it which are mainly salty or sour. Eating lubricating (snigdha) and cold foods like yoghurt, cheese, excessive rice or sea foods, fried foods in marshy places or excessive dry and hot foods like spicy foods, alcohol or avoiding ghee and oil in desert or arid regions. 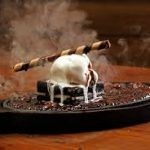 If these foods need to be consumed although being incompatible, it should be made compatible with proper and intelligent cooking techniques. Cold and dry foods like ice creams, milkshakes,honey, cold drinks, frozen foods should be avoided in cold conditions/seasons. Excessive hot and spicy foods like tea, coffee, spices, wines and alcohol should be avoided in summers. Curd should never be consumed at night, if needed to consume should be mixed with moong soup or honey or sugar. 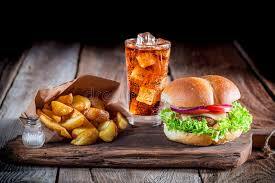 Stale foods, left over foods should not be consumed frequently. Same can be applied to canned/frozen foods. Remember refrigeration can increase shelf life of food or delay its rottening but it surely degrades the taste and nourishment of it. Honey and ghee should never be consumed in equal quantity. Same is true with Honey and water. Honey and curds should never be heated or consumed with hot water or foods. The most common example being, combination of honey and hot water/hot milk. Honey or curd consumed with hot pancakes, parathas chicken, rice, etc. One should avoid having cold and hot foods together. Eg. 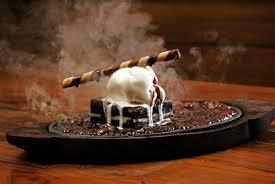 Sizzling ice creams, fried icecreams, hot fries/burgers with cold drinks /iced teas or coffees. Hot rotis/ parathas/ rice with cold yoghurt or honey, etc. Drinking cold water or cold drinks after tea/coffee or hot meals. Milk produced by sheep amongst milk. Incompatible foods if consumed once, in small quantity or very rarely may not show any adverse effects. When consumed frequently, regularly or in large quantities vitiates all the three doshas, but don’t expel them out. The end product of such combination are opposite and harmful to the properties of normal Dosha, dhatu and mala. Over a period of time, these vitiated doshas accumulate and their imbalance cause aam visha (toxins), which has slow poisoning effect. This further creates impairment in body dhatus (namely Rasa,Rakta,etc.) and may cause simple ailments like small rash, urticaria, fatigue to grave conditions like infertility, deafness, blindness and even death. It is said that viruddha ahar is the cause for many illness. Remember these foods may be healthy individually, but the improper combinations or preparation and consuming techniques brings about the harmful effects. Similarly if they are consumed in proper quantity, time, along with correct combinations, appropriate cooking and eating rules, they will always be harmless. So next time you are on the dining table, be alert, check for the incompatibles you commonly have. Correct them . Stay Fit Stay Healthy.